Creating a niche of Safety Signage such as Road Safety Signage and Industrial Safety Signage at its best, with utmost quality. We are providing best quality product around all over the world. 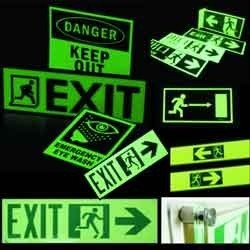 We are a reputed manufacturer and wholesale supplier of high quality Safety Signage range. We fabricate these signage boards in light weight but strong in construction to provide better durability. Also our ranges of signboards are available in customized sizes and designs as per the client’s requirements. These signs are caution signage, security signage, plastic signage, hip yellow plastic signage, industrial signage, cautionary signage. We manufacture technologically superior and splendidly engineered Photoluminescent Sign and we also provide custom photo luminescent sign. Outstanding features of our photo luminescent sign are rich design for low maintenance wide variety of models to suit all needs high durability and long life guarantee meeting all safety and quality standards. We manufacture technologically superior and splendidly engineered and we also provide custom signage. 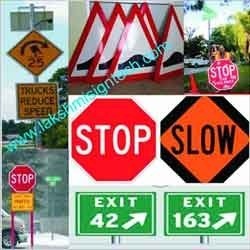 Outstanding Road Safety Signage features of our Road Safety Signage are rich design for low maintenance Wide variety of models to suit all needs high durability and long life guarantee meeting all safety and quality standards. Looking for Safety Signage ?